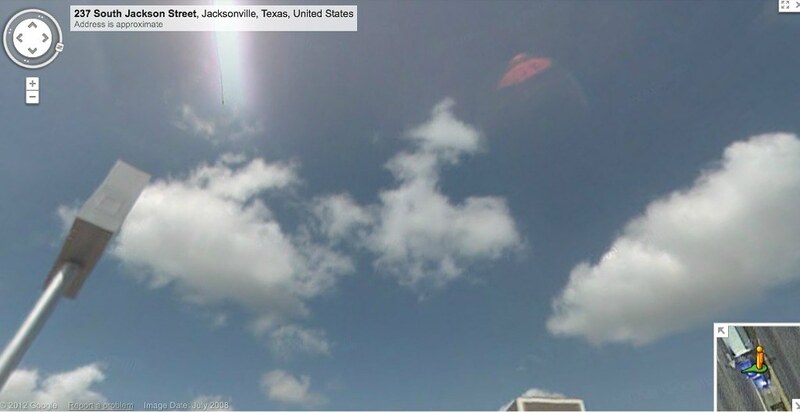 "Jacksonville, Texas" and pan up to the sky and around and you will see this image in both. ABC News left 10 iPads at TSA checkpoints with a history of stealing traveler's belongings to see what would happen. One of those iPad's ended up at the home of Andy Ramirez, a TSA officer. In the ABC News investigation, TSA officers at nine of the ten airport checkpoints followed agency guidelines and immediately contacted the owner, whose name and phone number were displayed prominently on the iPad case. But in Orlando, the iPad was not immediately returned and two hours later its tracking application showed the device as it moved away from the airport to the home of the TSA officer. After waiting 15 days, ABC News went to the home and asked Ramirez to return the iPad. He denied knowing anything about the missing iPad and said any items left behind at security checkpoints are taken to lost and found. To prove he was in possession of the device, ABC News activated an audio alarm on the iPad. After taking off his TSA uniform shirt, the officer returned the iPad. He then claimed his wife took it from the airport. "I'm so embarrassed," he told ABC News. "My wife says she got the iPad and brought it home," he said. When shown video of himself handling the iPad at the checkpoint he shut the door and hasn't spoken out since. The TSA confirmed Wednesday that he is no longer employed at the agency. 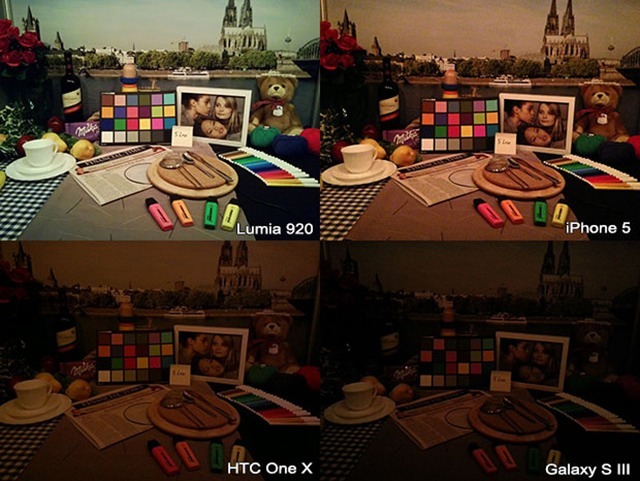 The iPhone 5, Lumia 920, Nokia 808, HTC One X and Galaxy S III go head to head in an Engadget low light shootout. It looks like Nokia's controversial marketing move, which involved using pro DSLRs to "simulate" low-light shooting, was even less necessary that the smartphone maker may have thought. During our visit to the company's Tampere, Finland research and development complex, we were given access to a comprehensive testing suite, enabling us to shoot with the Lumia 920 and a handful of competing products in a controlled lighting environment. Technicians dimmed the lights and let us snap a static scene with each handset at just 5 lux -- a level on par with what you may expect on a dimly lit city street in the middle of the night. The 920 took the cake, without question, but the iPhone didn't fare too poorly itself, snatching up nearly as much light as the Nokia device. The 808 PureView also performed quite well, but the HTC One X and Samsung Galaxy S III yielded unusable results. "Introducing Spixi a new kind cable for smartphones. It is slim and sleek- unlike any cable you've seen before. 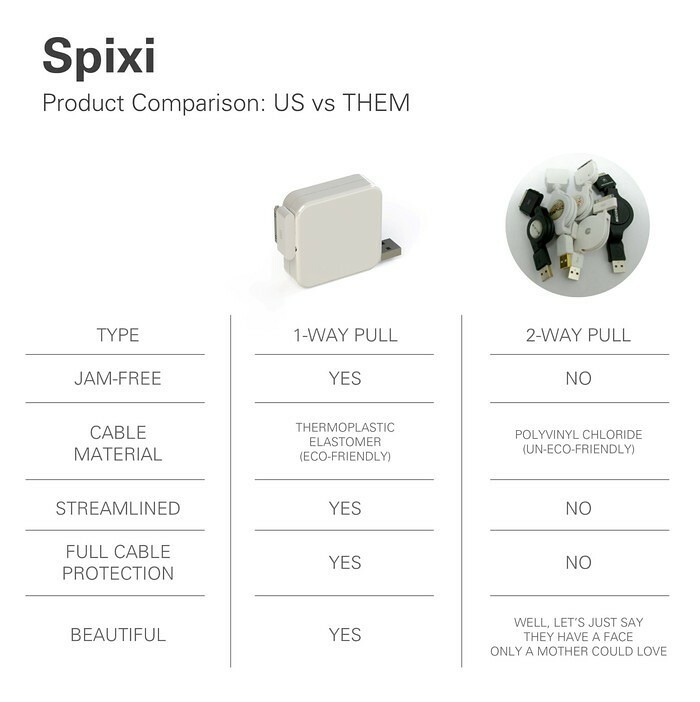 Spixi features a unique, retracting 2-foot cable made from an eco-friendly thermoplastic elastomer (TPE) that is stronger and more durable than polyvinyl chloride, the commonly used material for cables. Because of TPE's superior characteristics, we can design a thinner cable without sacrificing quality and performance. 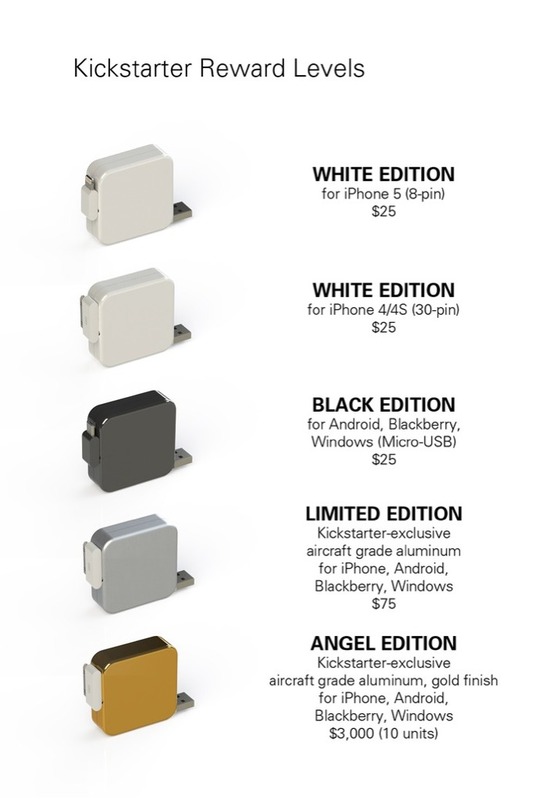 Spixi comes in 3 different connector flavors: iPhone 5 (8-pin), iPhone 4/4S (and previous versions), and Micro-USB (Android, Blackberry, Windows). A high level of design and quality- is unheard of, in the retractable USB cable world. It's our pleasure to change that. How big is it really? The connector is sideways. This helps minimize the compactness of the design. 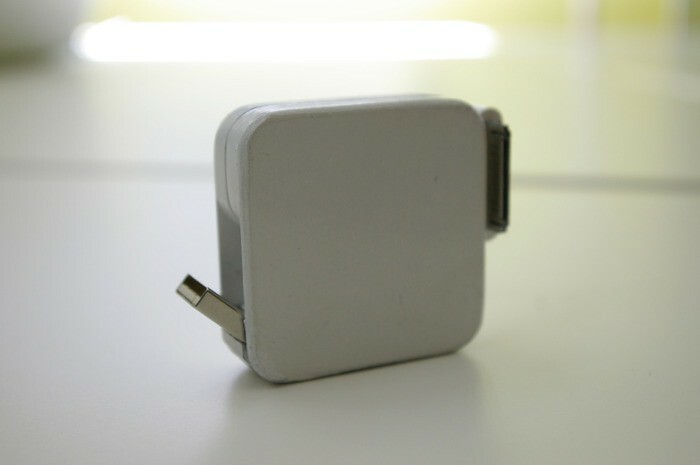 Because the connector is oriented on its side, the chance for damaging the connector is greatly reduced. 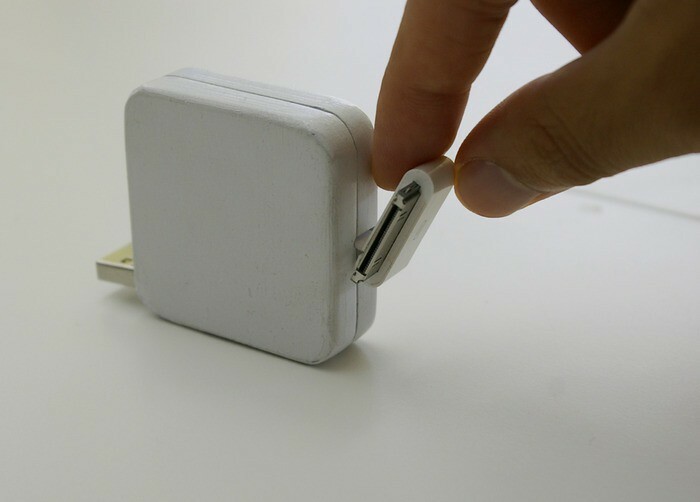 The USB connector folds away. 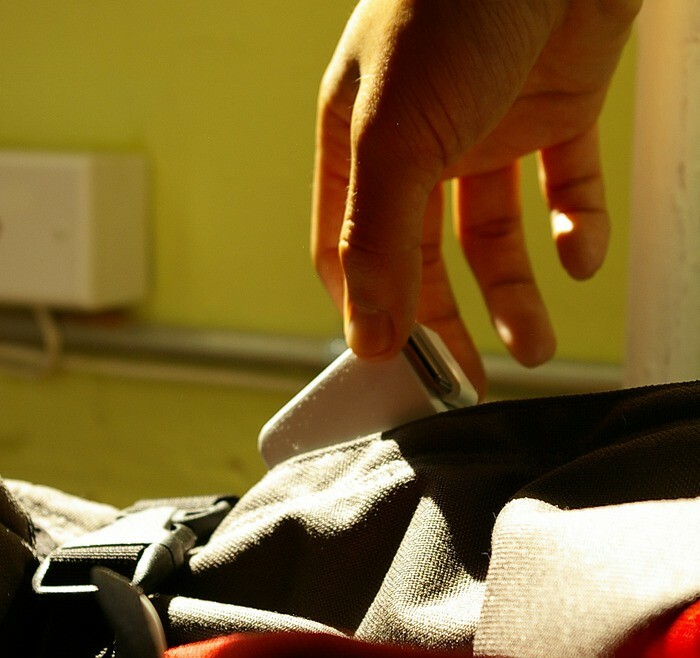 This allows Spixi to maintain it's streamline design so it won't get caught with other items while you're taking it out of your bag. Spixi is slim. 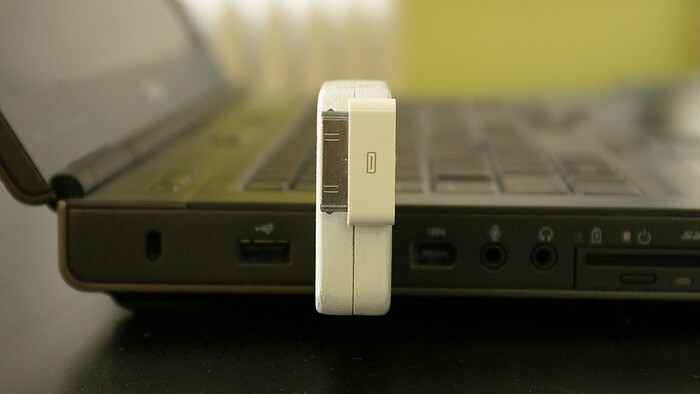 So slim that it will not interfere with the other USB ports on your laptop, so you- the user will never have to compromise. 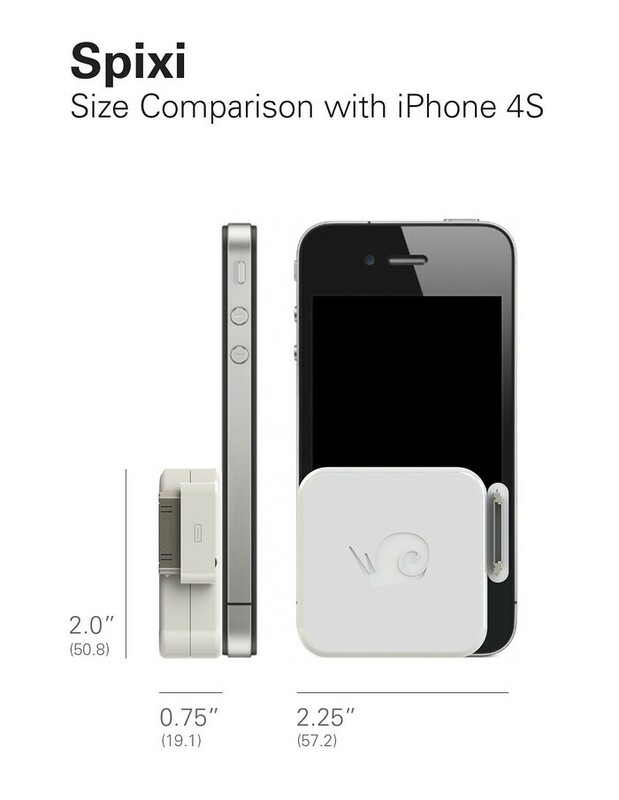 It's just slightly wider than your typical USB flash drive. The case is made of polycarbonate, similar to the macbook chargers. This gives protection to the cable when it is stowed and on-the-go. 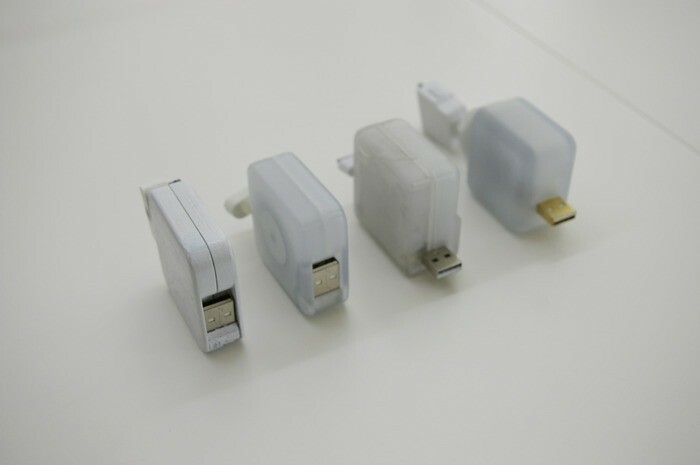 It will give users peace of mind, knowing that their cable is housed around solid construction. Don't sacrifice freedom for portability. The popular emergency and short cables are great for certain situations, however, they put your phone in a paralytic state. 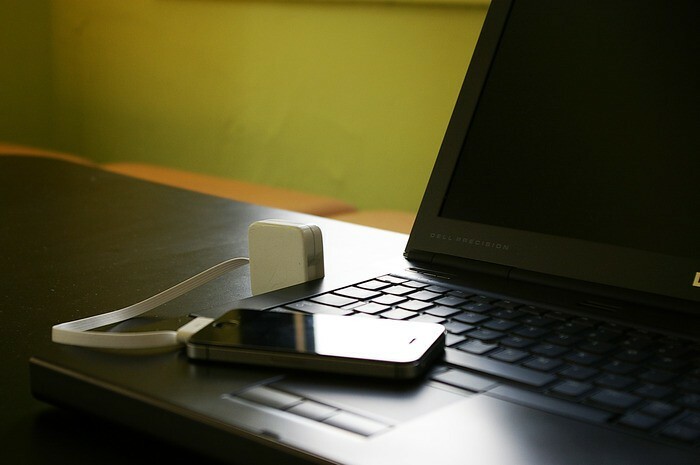 Spixi's 2-foot cable is long enough to take calls or open apps comfortably, all while charging and syncing through your laptop. We need to raise $30,000- to make Spixi come to life. The funds raised will be used to cover the tooling costs of the production molds. A rigorous effort has been made to choose the right supplier for this product. And we're proud to say, that we've found a good match. We've been in communication with Spixi's supplier for the past 6 months, and can confirm that the our high level of quality can be met. They make product for some of the biggest names in technology, so we are confident. The supplier is located in China and we have a planned visit in the coming weeks- very exciting! If funding is successful by November 1, we plan to ship in February 2013. We are all about transparency, so here is the breakdown: it takes 2 months to make the tooling, about 1 month to produce the units and address production quality, and an additional month for the products to arrive to our shores. So if tooling starts in November, we're looking at February to delivery Spixi to our awesome supporters! We are really proud of our product, and that's why we have a patent pending." One amazingly simple solution to tangled and torn cables! With a great attention to detail, it is an attractive design(if you can say that about a USB cable, idk). NEW YORK (AP) — Verizon Wireless said Monday that it won’t prevent its version of the iPhone 5 from being used on AT&T’s network. 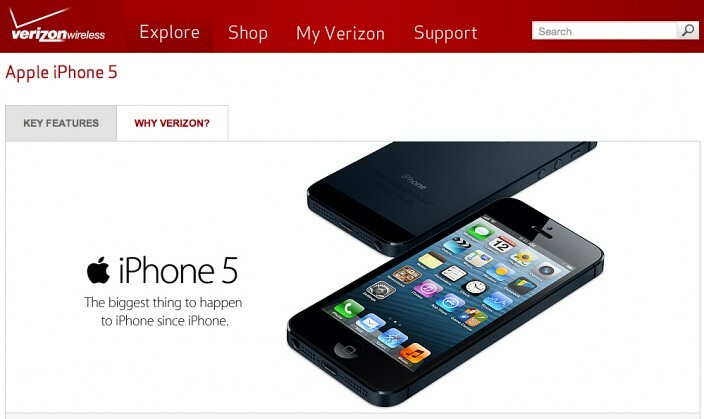 The Verizon version of the iPhone 5, which went on sale Friday, came with an unexpected feature: it works on the network of AT&T and many other phone companies [including T-Mobile], as well as on Verizon’s. It’s the first time Verizon, the country’s largest cellphone company, has sold a phone that works on competing U.S. networks with no complicated hacking, or “unlocking,” procedures. But, does Big Red even have that option? Verizon tends to do everything possible to lock customers in, and allowing AT&T customers to use the handset is totally against everything it stands for. A Howard Forums poster notes that when Verizon purchased its 700MHz spectrum a few years ago, which it would eventually use for LTE, the carrier told the Federal Communications Commission it would not lock phones that used this network as part of the deal. I’ve been reading up on the open access provisions in regards to the C-Block of 700 mhz LTE spectrum. There is a very specific line saying that a licensee(Verizon) cannot configure devices to be locked against use on another network. This means that Verizon would be violating Federal law if the iPhone 5′s sim slot is even partially locked. Unlike on the iPhone 4S – these regulations mean that Verizon must even allow an AT&T sim card to be used in any Verizon iPhone 5. Title 47 – Telecommunication. CHAPTER I – FEDERAL COMMUNICATIONS COMMISSION (CONTINUED). SUBCHAPTER B – COMMON CARRIER SERVICES. PART 27 – MISCELLANEOUS WIRELESS COMMUNICATIONS SERVICES. Subpart B – Applications and Licenses. § 27.16Network access requirements for Block C in the 746-757 and 776-787 MHz bands. Take a look at this : (e) Handset locking prohibited. No licensee may disable features on handsets it provides to customers, to the extent such features are compliant with the licensee’s standards pursuant to paragraph (b)of this section, nor configure handsets it provides to prohibit use of such handsets on other providers’ networks. The one caveat is that Verizon iPhones cannot utilize LTE on AT&T’s network, but it will be able to use T-Mobile’s 2G and new 1900MHz 4G network. 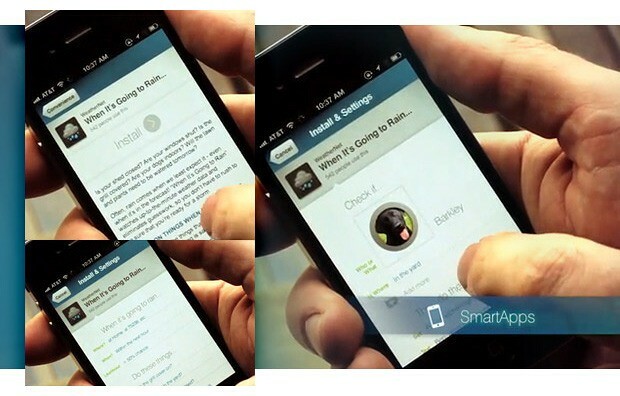 The first drop test video comparing the Apple iPhone 5 to the Samsung Galaxy S III has been posted by Android Authority. This morning in Hong Kong, Darcy dropped the Galaxy S3 and the iPhone 5 a total of four times, each time from an increasing height. To make our drop test more realistic, we tried to recreate the accidents that happen most often in real life. We ruthlessly let the two devices fall to the hard pavement, just to see what happens. Needless to say, it wasn't pretty. See for yourselves. Dayum! The hard aluminum shell of the iPhone 5 withstood the impact pretty well, and the glass protecting the display remained intact. Meanwhile, the Galaxy S3 predictably lost its back cover and suffered damage to the casing and the front glass. Sad, sad, sad. Just the other day, we were hearing about Samsung getting in legal trouble over patent violations with Apple. A federal court decision ruled that Samsung owes Apple more than $1 billion in restitution. Samsung plans to appeal the decision, saying it never attempted to steal anything from Apple's iPhone. Next week, on September 12, Apple is expected to introduce its highly anticipated iPhone 5, but the company may find itself on the receiving end of a patent-infringement battle. Chinese tech companyGoophone is launching the Goophone I5, which looks suspiciously like an iPhone in the company's video on YouTube. In recent months, tech blogs all over the world have released leaked photos and videos of what is rumored to be Apple's iPhone 5. The pictures show what appears to be a longer, thinner, but altogether similar version of previous models of the best-selling smartphone in the world. The Goophone I5 will run a version of the Android operating system that mimics the look of Apple's IOS. Goophone claims to have already patented its phone in China and vows to sue for patent infringement should Apple try to release the iPhone 5 in China as well. One commenter on Goophone's YouTube account wrote, "the clone wants to sue the original...THIS IS THE FUTURE!" Of course, since the new iPhone 5 does not technically exist for the public yet, we'll just have to wait and see. Tell us what you think about this interesting turn of events. What do you think Apple should do.